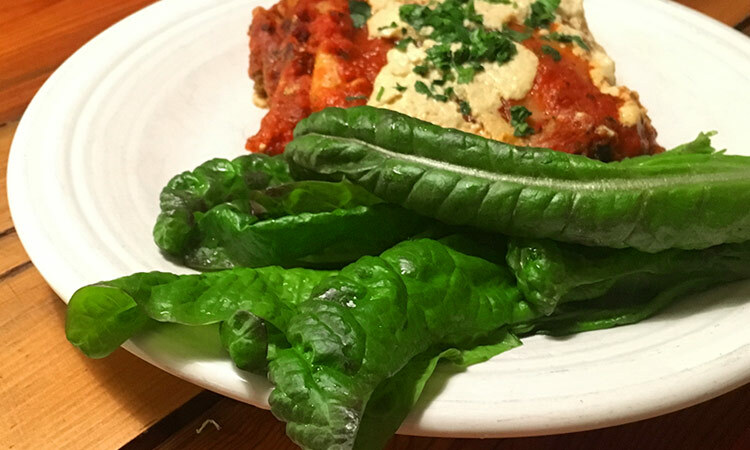 We believe in good, healthy, balanced, pesticide-free and consciously consumed food. We are passionate about nurturing every seed and empowering the soil. 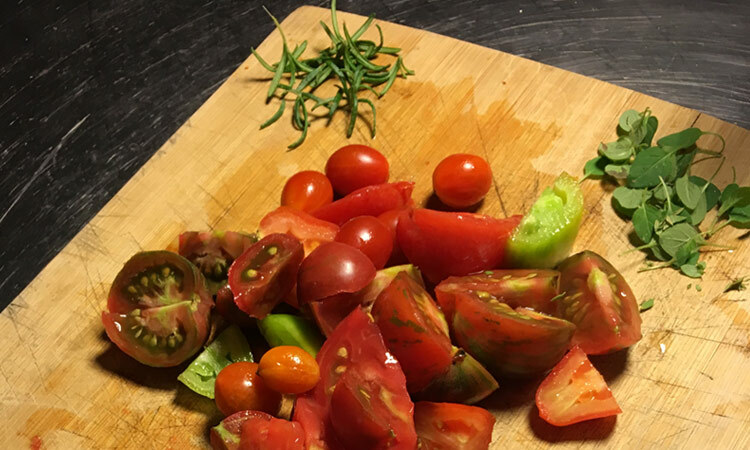 CONCRETE FARM LAB believes that good, healthy, balanced, pesticide-free, consciously consumed food has strong implications for health, culture, lifestyle and the sake of the planet. 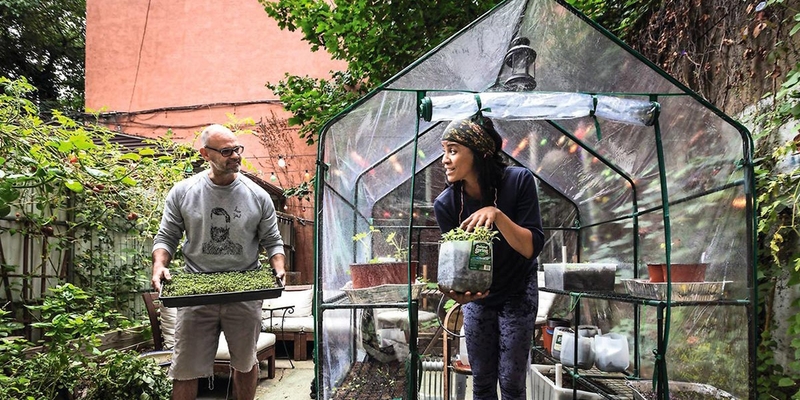 Concrete Farm Lab is a DIY farming experiment in the heart of flourishing BedStuy, Brooklyn. 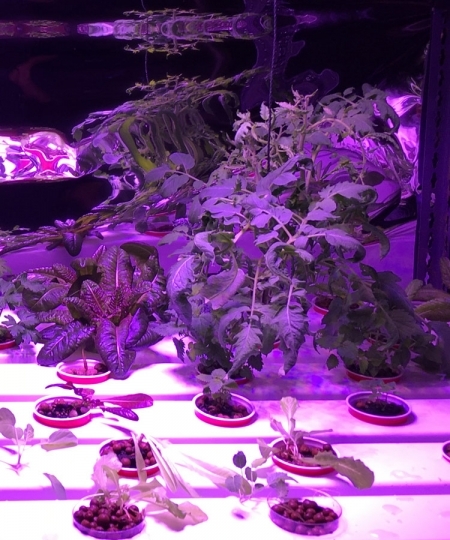 Growing 50+ organic veggies using different techniques including permaculture in a 300sqf backyard, as well as indoor hydroponics and aquaponics system with pacu fish. Concrete Farm Lab aims to grow hyper local organic veggies from our experimental farm and share delicious fresh meals. We are passionate about nurturing every seed and regenerating the soil. Here at CF Lab, we understand the endless benefits of living organisms. Everyday our plants teach us the values of being observant, patient, persistent with determination to flourish and thrive. 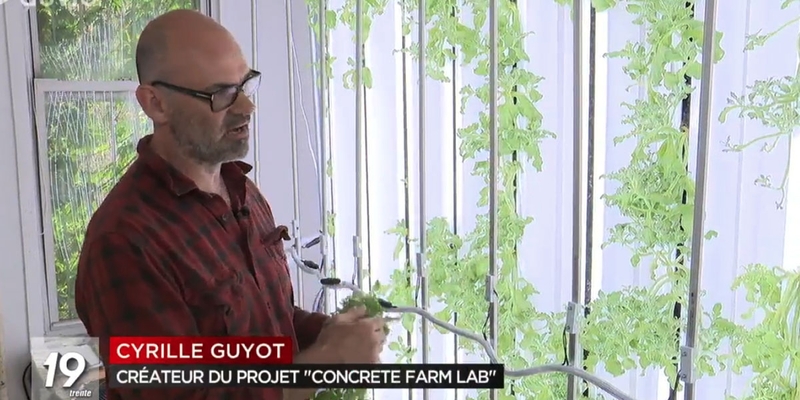 Concrete Farm Lab is featured on L’Express France. 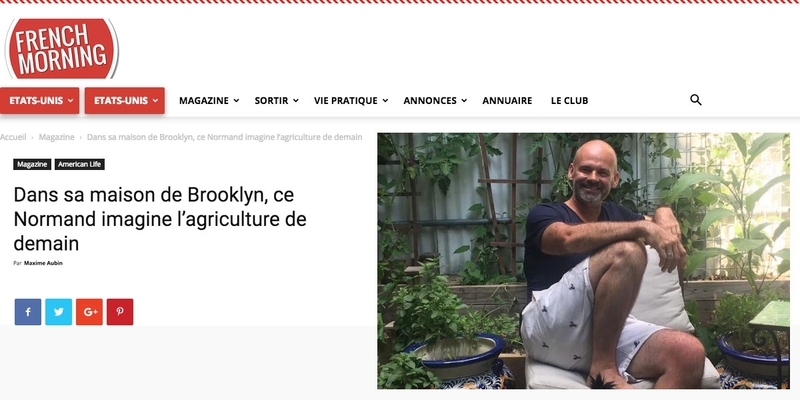 Cyrille and Nashay, a French American couple, are using the power of soil, seeds and love to create an earth to mouth healing farm, growing different varieties of organic veggies. Cyrille lives in New York for 16 years. His passion for soil and gardening has never left him since he was a little boy in the woods of Normandie, France. Nashay, native from Los Angeles, is a nature loving soul dedicated to spreading the knowledge of the healing power through plants and core exercises, such as Pilates and Qiqong. 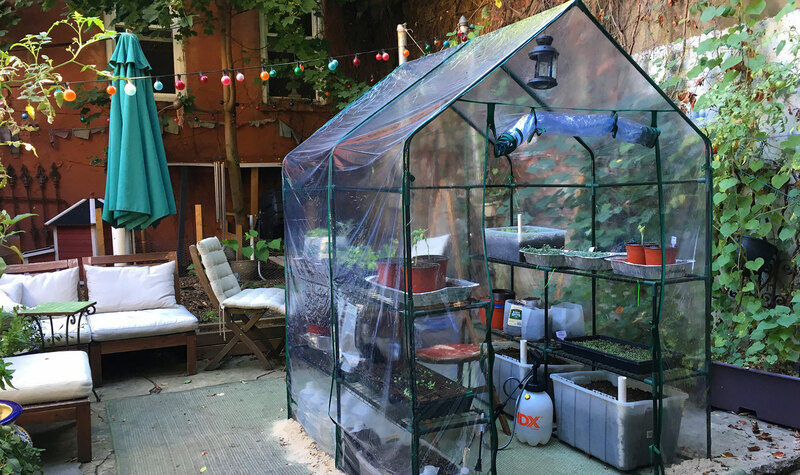 In their brownstone transformed into an urban farming experiment, plants are grown within the principles of permaculture. Parsley, brussel sprouts, kale, spinach, ginger, broccoli, nettle, dandelion, sweet potatoes, peppers, green beans, rosemary, melon, strawberries, okra, cauliflower, turmeric, large variety of tomatoes, salads, microgreens, thyme, rosemary, russet potatoes, carrots, leeks, scallion, squash, eggplant, celery, collards and medicinal plants are all grown from heirloom seeds. This would not be possible without the microcosm of insects and worms that give life to the soil. Cyrille and Nashay are on a mission to enrich their soil with good energy & love, growing the best tasting vegetables in their neighborhood. It’s composed of 6 x 5 ft. vinyl fence and 27 gl. reservoir. System works with water pump that inject nutrients into the tray and by gravity goes back to the reservoir. Each tray has one air stone in order to provide plenty of oxygen. We use as a medium hydroton clay pellets in dixie cups. We are growing kale, collards, romaine salad , tomatoes, basil, parsley and many of the aromatic herbs. 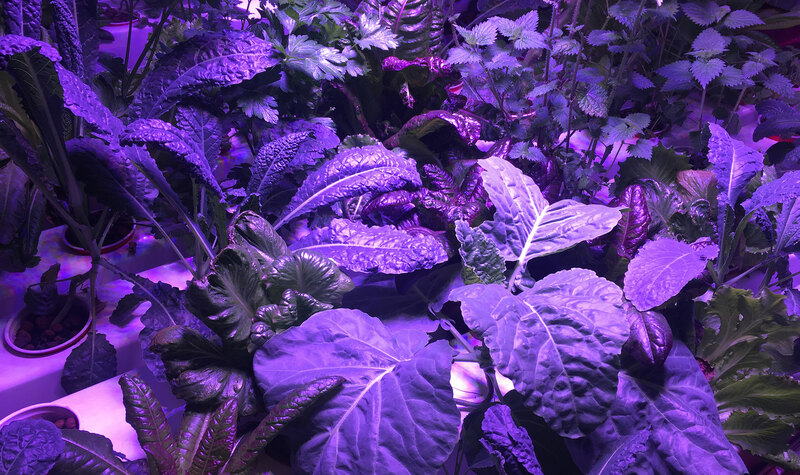 Growing area is 4 x 4 ft and typically for 16 sqft area you will need at least 480 watts (30 watts per sqft), we decided to use 600 watt LED light. This is another DIY system we build with the idea of occupying less footage space. This is why we decided to go with 10 7 ft. zip grow towers. We set up a dripping irrigation system 0.5 gl. per hour and UV sterilizer to avoid any algae build up. 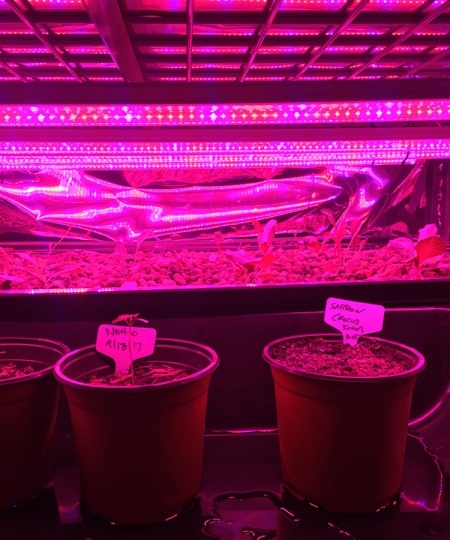 For this system we decided to grow full spectrum light from Agrivolution. We have 20 Led stripe measuring 3 ft. each. 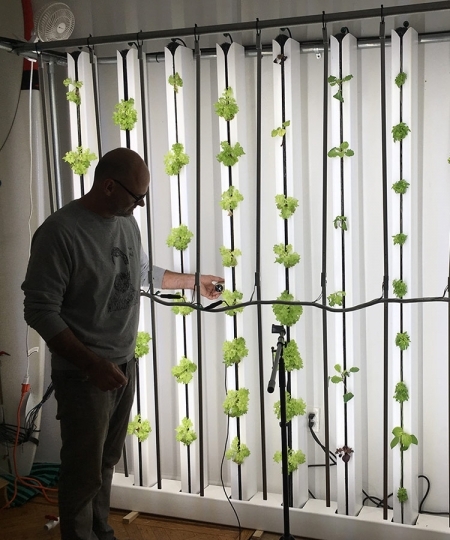 We can yield 140 lettuce a month with this system. For this DIY system we use as much as possible recycled materials. Our fish tank is a 70 gl. recycled bath tub rescued from the next door neighbor. He was delighted to know the tub would be put to good use. The grow bed is 2 x 4 ft. and use a combination of hydroton pebbles and clay pellets (100 Lbs). The drainage is done by 6 inch bell siphon subsequently the nutrients flow (fish poop ) in to multiple floating trays for lettuce and water crest production. Our growing bed will accommodate deeper root vegetable such as Swiss chard, radishes etc. 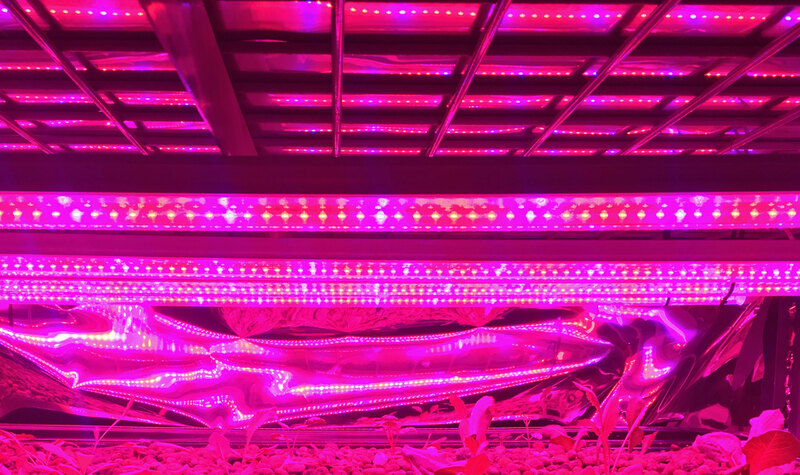 LED light for this system : 8 strips of 20 watts Led light positioned fairly close to the growing area. 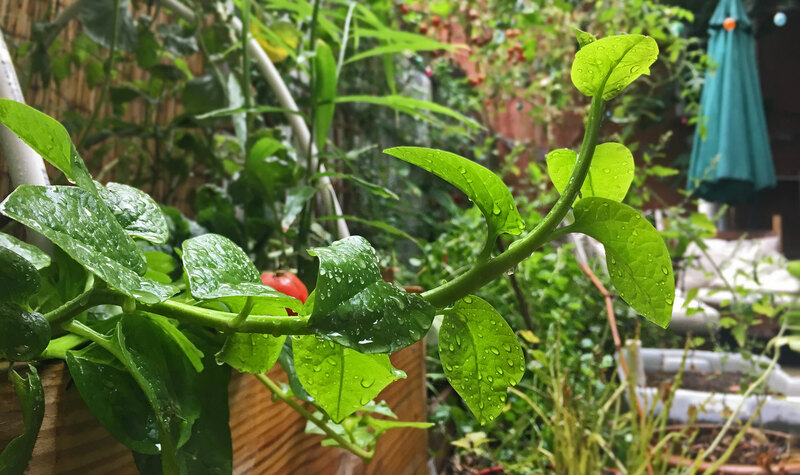 Our back and front yard are build on permaculture fundamental principles, which revolve around the notion of giving back before receiving. With limited city outdoor space, CF Lab started by building raised beds. In most urban areas, soil is depleted of nutrients contaminated by lead paint and other pollutants. Bringing organic vegetal such as mulch, leaves, cardboard and compost amends the soil. 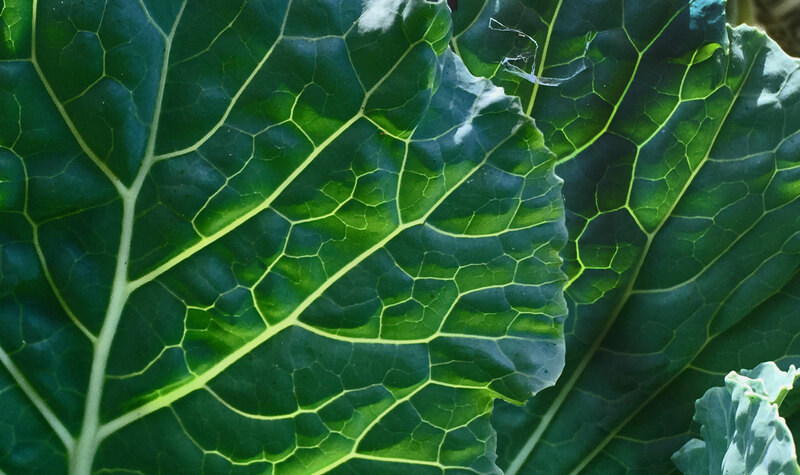 This enriches the soil by creating an environment for healthy bacteria, worms and other insects which are essential to produce healthy fruits and vegetables. Permaculture is a precise knowledge of human farming system and crop design using ecological principles to replicate the diversity, stability and resilience of natural ecosystems. It is a method of ecological land management, designed to create a stable, self-sufficient system without using chemicals. 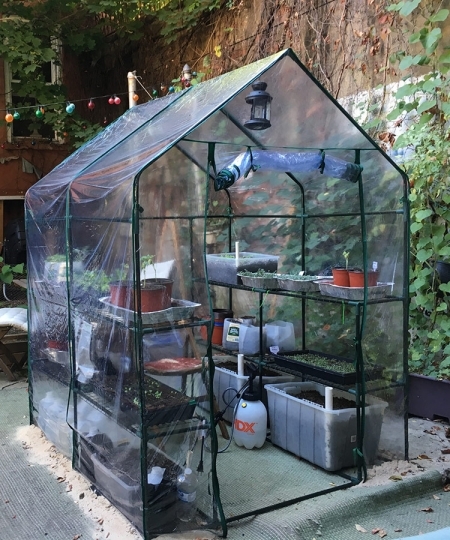 This fall we installed a tiny green house in our backyard which specific functions will be to produce throughout the cold months and to start much earlier in the year the seedlings process. CF Lab journals is about sharing our farming experiences. 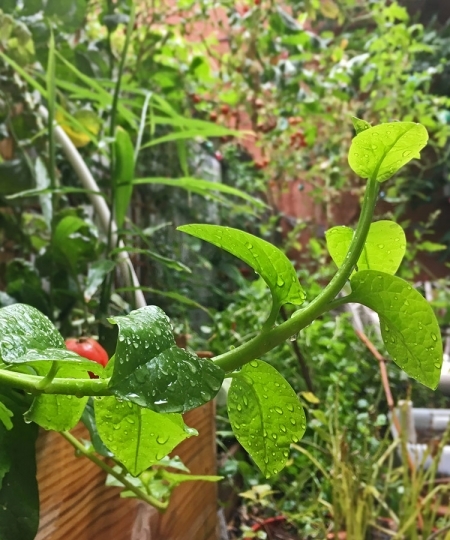 The aim is to inspire people to reconnect with nature and to show that it is possible to create their own gardens. Watch step by step how we prepare our water for the fish, system setup and flow. We produce according to the principles of permaculture, a science of crop design, human farming systems, using ecological principles to replicate the diversity, stability and resilience of natural ecosystems. Without chemicals and thus compatible with organic farming, the technique of permaculture is a precise knowledge, rare yet little developed, which allows higher yields than those of intensive agriculture supported by chemicals. This efficient technique will be mixed with the production of vegetables under greenhouse, allowing production throughout the year. Follow our website as we have more and more stories to tell. We use ancient and local seeds to promote more resilient varieties. We believe “healing is in the seed”. More to come soon. Concrete Farm continues to explore sustainable energy options by learning how to balance the energy input / output. We’ll tell you about the wind turbine we intend to set up on the front yard. As an executive and entrepreneur for the last 25+ years, Cyrille has always been passionate about solving the evolving problems between product, service and customer. Most renowned for his ability to build bridges and create sustainable models. He has held Several senior Executive titles during his tenure at P&G cosmetics in Europe, Asia and North America before founding his own company, Beauty Etcetera. 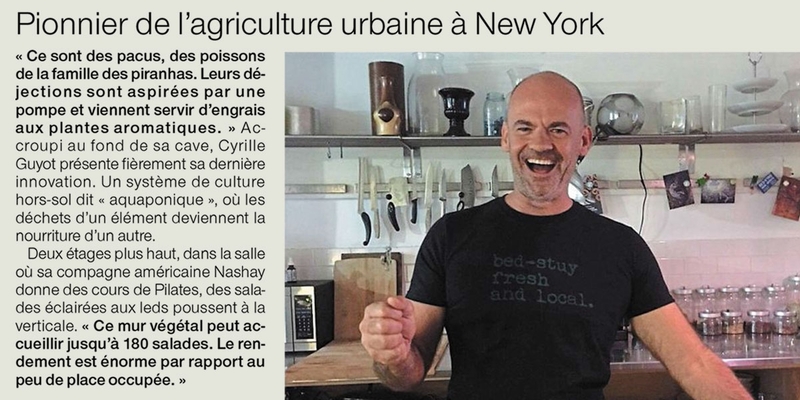 Paris born and long time New Yorker, he has now taken his vast professional experience in the HBC, health and beauty and Care industry to solve the problems between farmers, distributors, and consumers. 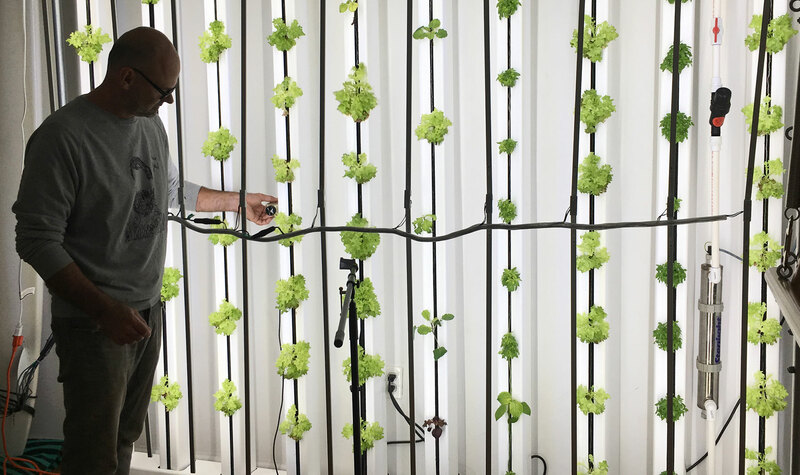 Using innovative and disruptive technologies, Cyrille is creating a sustainable agricultural ecosystem that is scalable while maintaining intimate connection to end users. 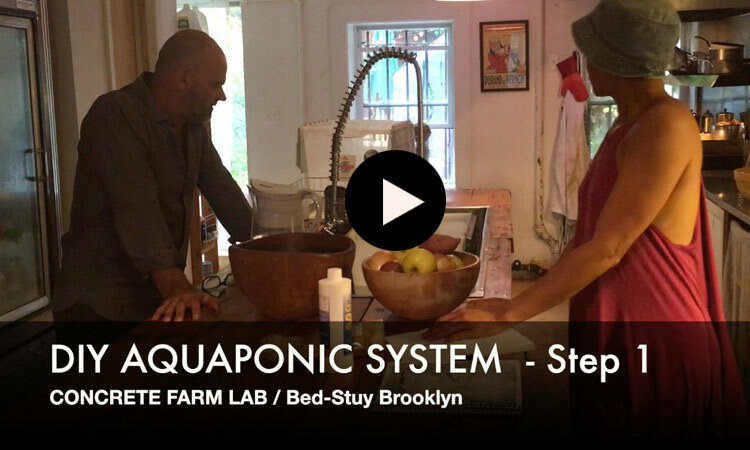 Over the last few years, Cyrille has become a self-taught farmer himself and his Brooklyn brownstone garden became a prototype to experiment, research and learn from Permaculture, Aquaponic and Hydroponic fundamentals. 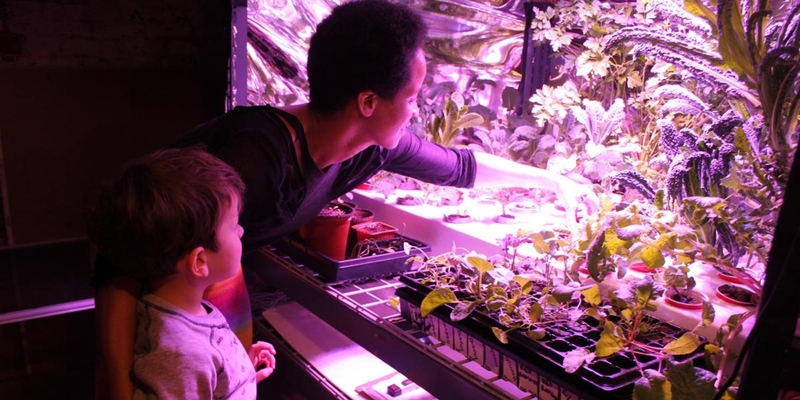 Concrete Farm offers a new way to think about urban farming – one that is transparent and community driven, where humanity, and profitability can coexist. Nashay Morris is a certified Stott Pilates Instructor and self taught Vegan Chef from Southern California, based in Brooklyn, New York. Having studied at the Fashion Institute of Technology, Nashay comes from 15 years of fashion design, production, and styling. 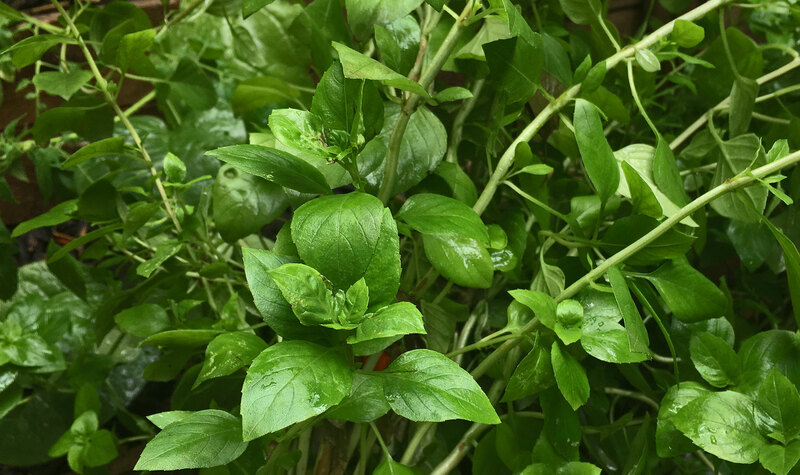 Fascinated with the healing benefits of living food, Nashay traded in fashion for the leafy green microcosm. She immersed herself for years in learning the holistic culinary approach, and apprenticed under Las Vegas Celebrity Vegan Chef Stacey Dougan. Today, Nashay is the founder of Adore Your Core NYC, delivering green power juices to corporate workspaces. She is an established personal vegan chef, and enjoys teaching physical core practices. 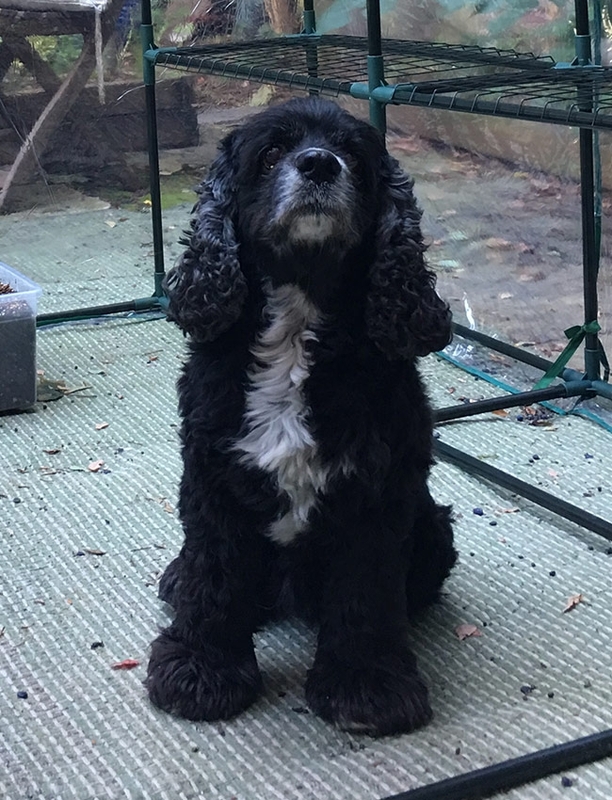 Zoar, is a Southern American Cocker Spaniel from Louisiana, based in Brooklyn. As a young pup, he had a palette for young raw broccoli heads, steamed sweet potatoes and fresh watermelon pulp. Zoar understood early on, incorporating vegetables to his prepared carnivorous meals is essential to his overall well being. 7 years later, his passion for sharing with dogs all around the world the nutritious value of greens in there meal, is still going strong. Zoar presently serves as the mascot of Concrete Farm, and does quality control consulting. 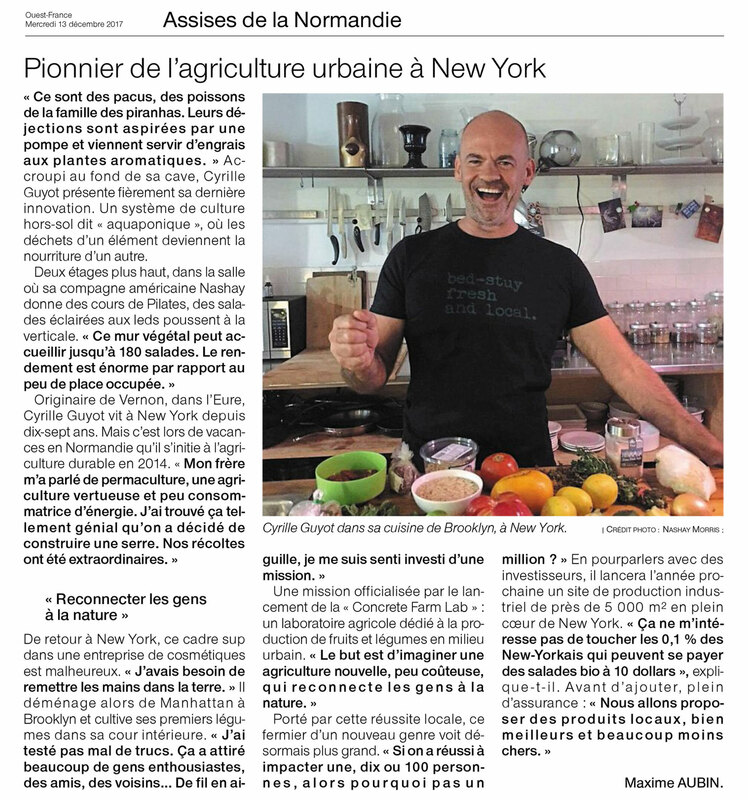 Cyrille Guyot is an french established businessman and entrepreneur in New York City. 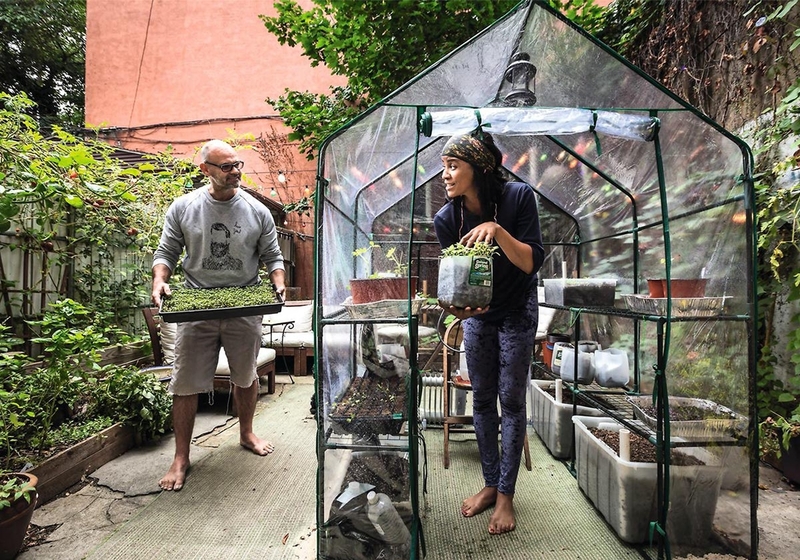 He is also a self-taught farmer and eager DYIer and has established Concrete Farm Lab, in Brooklyn where innovative techniques are use to grow vegetables. Cyrille was also able to put together a great team to shoulder the launch of the Concrete Farm. Nashay Morris is a certified Stott Pilates Instructor and self taught Vegan Chef from Southern California, based in Brooklyn, New York. Fascinated with the healing benefits of living food, Nashay immersed herself for years in learning the holistic culinary approach, and apprenticed under Las Vegas Celebrity Vegan Chef Stacey Dougan. 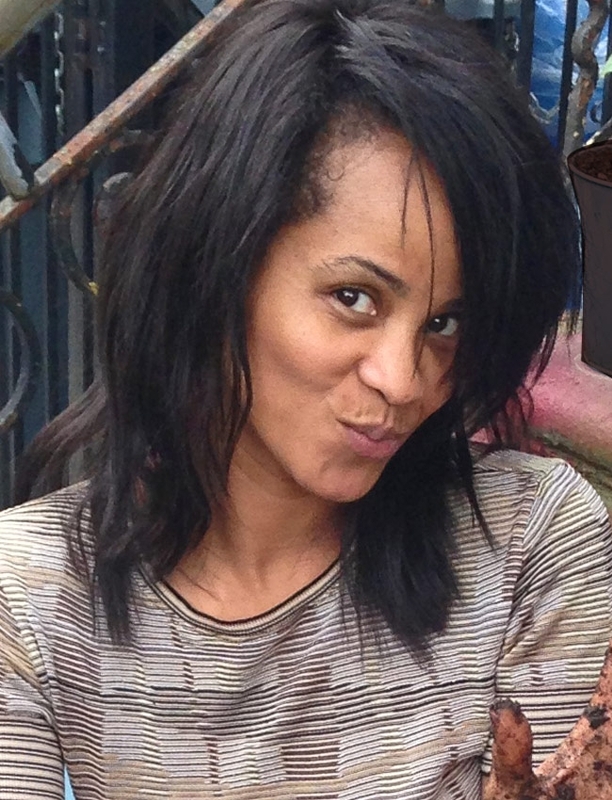 Today, Nashay is the founder of Adore Your Core NYC, delivering green power juices to corporate workspaces. 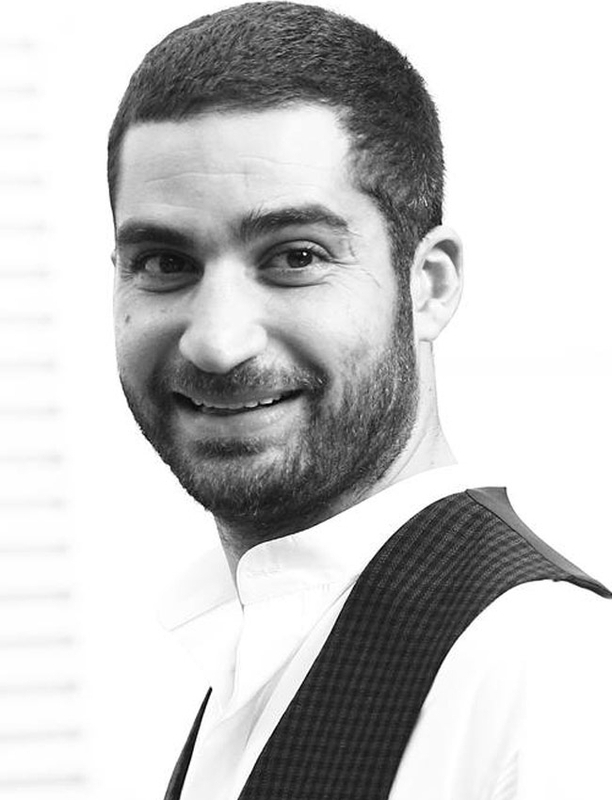 Kimmy Zouki comes from a background in strategic planning after he spent a decade working on award winning and blue-chip clients in the F&B and restaurant industries. He is also the founder of Good Bytes, a mission-based meal delivery service of locally sourced vegetarian meals catering tech companies around Brooklyn. Kimmy is an aficionado of sustainable food systems and wants to bring his passion for food and social impact to people in communities around him. He will maintain a strategic role in Concrete Farm and will oversee the growth, structure and planning of the brand. 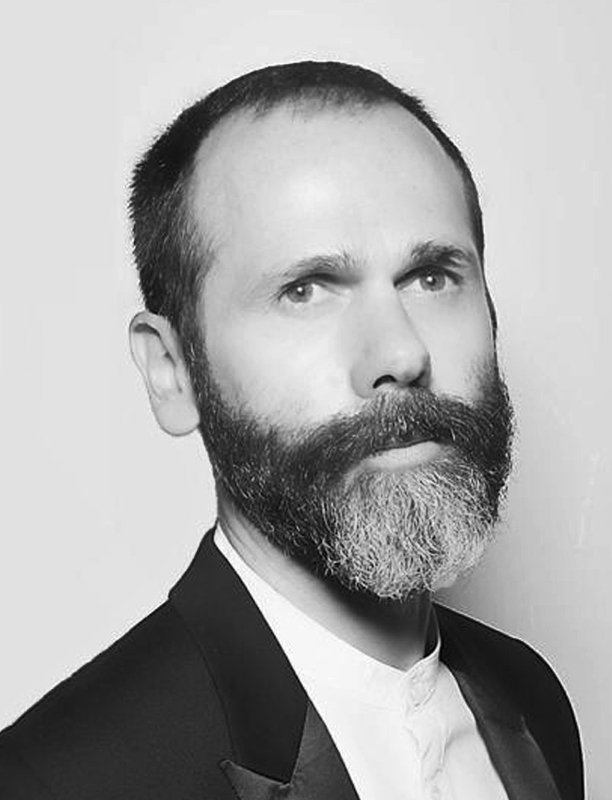 Stephane Siboni is the co-founder and CEO of Ardency Inn, an award-winning disruptive makeup brand. Prior to founding Ardency Inn, Stephane had an extensive management consulting experience. He was Managing Director at Lexagon Group in New York and Principal at The Boston Consulting Group’s New York office. 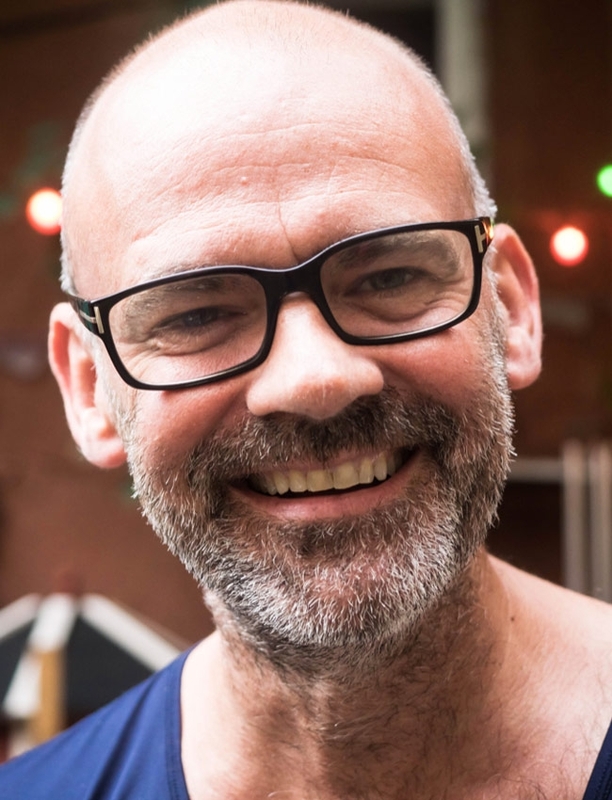 He is an expert in identifying unique business opportunities and developing growth and M&A strategies, and has significant expertise in customer insight and segmentation, in the consumer goods, retail, media and telecom industries. Stephane was previously an Associate in Mergers & Acquisitions at Lehman Brothers in New York. He holds an MBA from Columbia Business School. 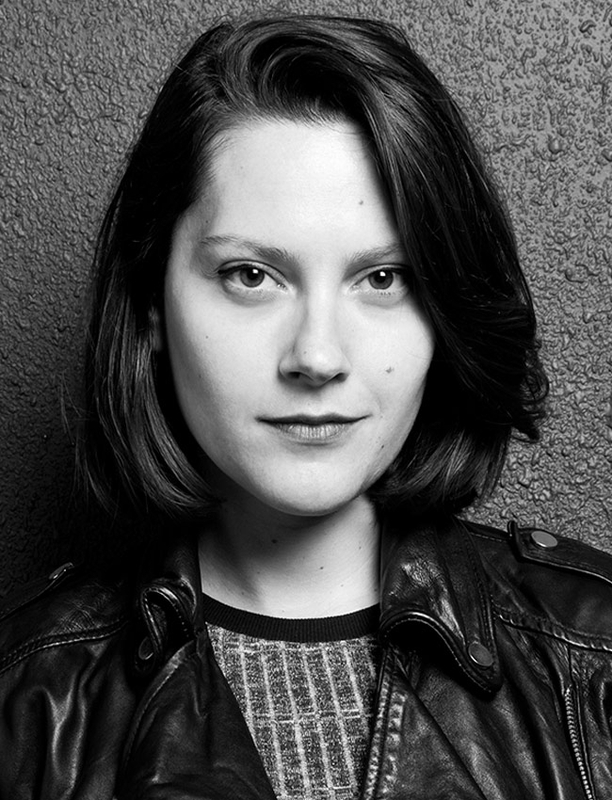 Ece Soner is a visual designer based in New York, originally from İstanbul. She creates work with massive stylistic variation running between mediums in art and design, inspired from nature. She recognized by her creative pursuits from Typography to Illustration, Digital to Print, from Social Responsibility projects to Brand Identity. 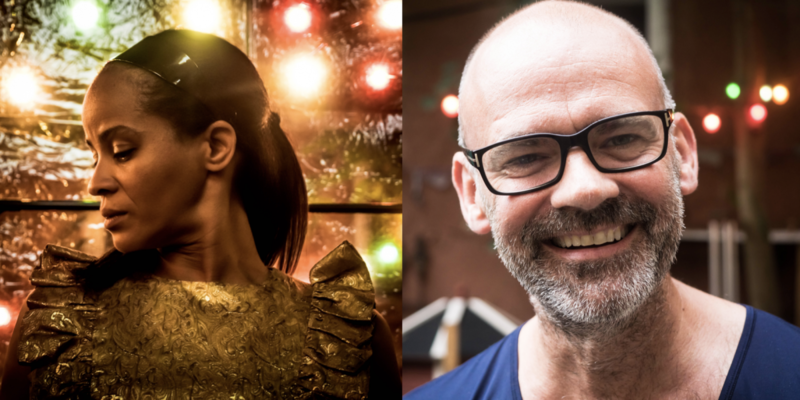 Ece is the digital farmer of Concrete Farm, responsible for brand identity & visual design. 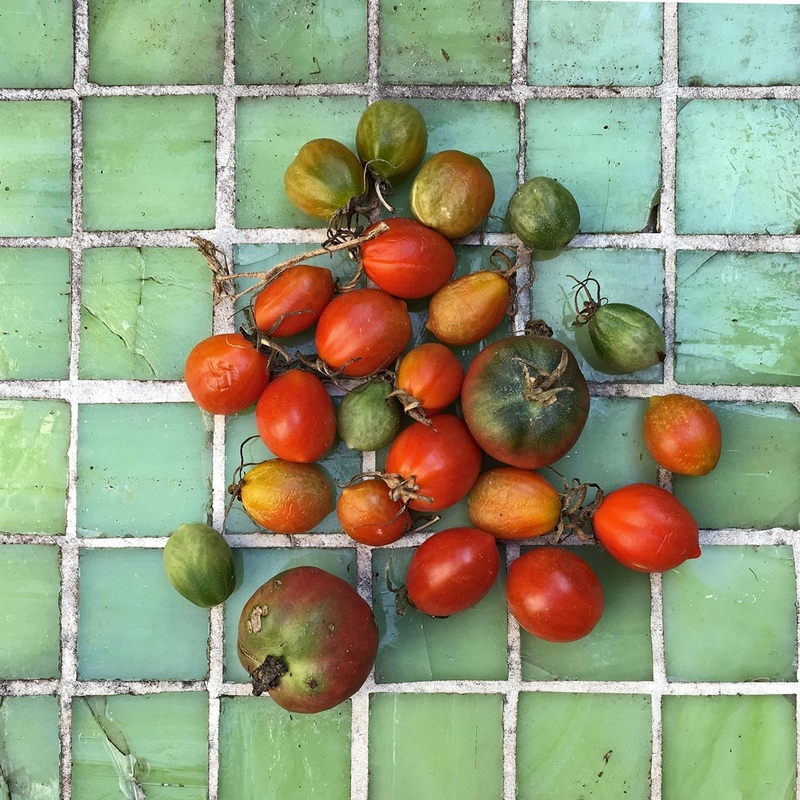 At Concrete Farm Lab we are bringing together farmers, foodies, chefs, scientists, entrepreneurs, journalists and supporters who can help shape and give a voice to a way of eating and cooking that is based on healthy farms, soils and ecosystems. Let’s talk about good food and conscious farming.